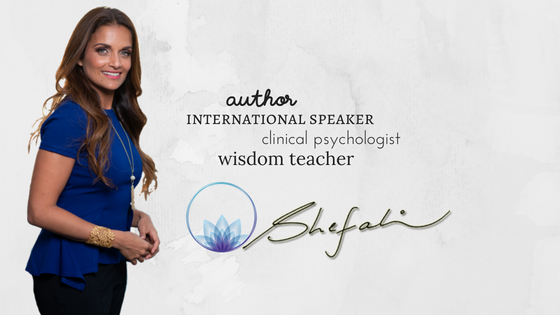 Shefali Tsabary, Ph.D., is a clinical psychologist with a private practice in New York. She received her doctorate in Clinical Psychology from Columbia University, New York. She is the author of the multi-award-winning, The Conscious Parent. Heralded as a game-changer in the parenting genre, this book turns the traditional parenting paradigms on its head and revolutionizes how we raise our families. She has been exposed to Eastern mindfulness at an early age and integrates its teachings with Western psychology. This blend of East and West allows her to reach a global audience. Her ability to appeal to both a psychologically astute and consciousness-driven audience establishes her as one of a kind in the parenting field.